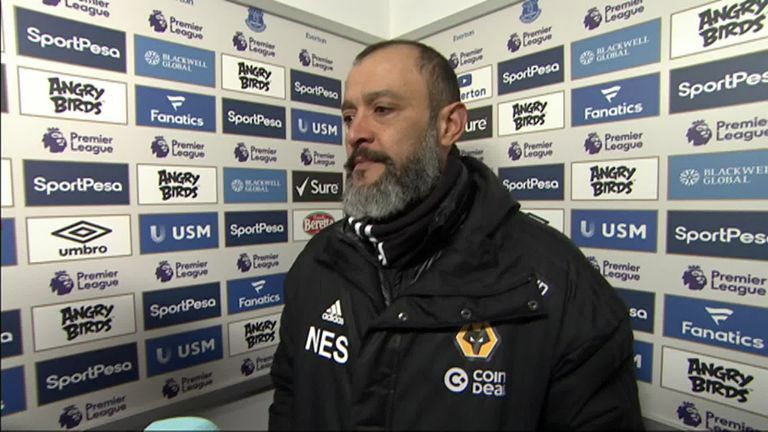 Nuno Espirito Santo was full of praise for his Wolves players after they beat Everton 3-1 to maintain hold of seventh position in the Premier League. The visitors ran out as comfortable winners at Goodison Park on Saturday afternoon to open a four-point cushion over eighth-place Watford. The Portuguese laid all the credit at his players' door after the full-time whistle. "It was a good game, a good performance which allowed us to play a good team in a tough stadium and go out in a proud way," said the Wolves coach. "I'm proud of my boys, they ran all game. "We expected a tough game, Everton are a very good team. In the first half, both teams were creating and organised. "We achieved the goal, but Everton scored a fantastic goal and then we have to do it all again. We were lucky in the moment we achieved the second goal was just before half-time, which put us on the front foot." Everton's woes from set pieces are now well known, but Nuno said it is something his team always work on, regardless of their opponents. "It is a moment in our game that requires a lot of hard work," he said. "We invest our time in set pieces." Soon after Leander Dendoncker had scored Wolves' third there was a lengthy stoppage as a black cat strayed on to the pitch, crossing the goal line that Everton were attacking. 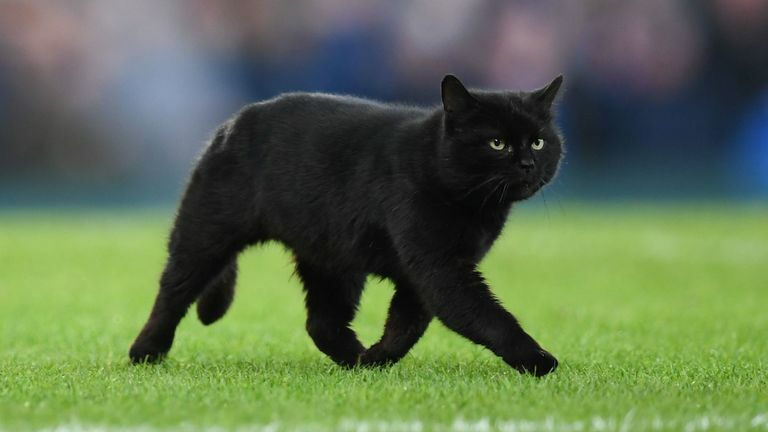 Check out the moment a black cat invaded the Goodison Park pitch, causing a lengthy delay to the match between Everton and Wolves! That might be considered a good omen in the UK, but it is regarded as bad luck in Portugal. With two English sides managed by two Portuguese coaches, perhaps it all got cancelled out, but Nuno was clear on one thing after the match. "I don't like black cats," he said.